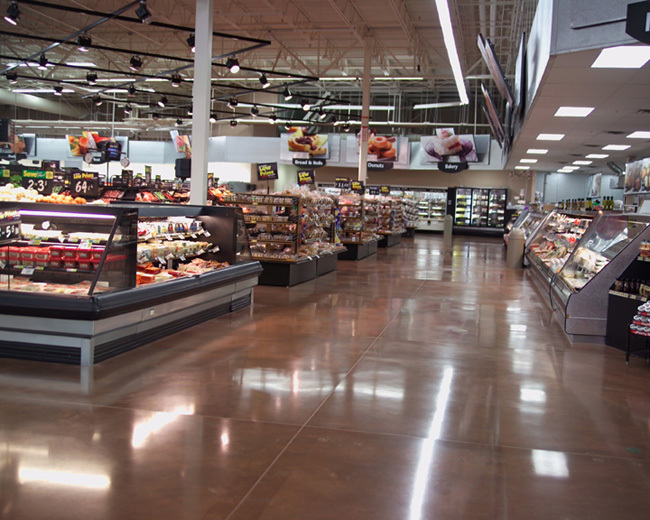 Densified / Polished Concrete is a process that increases the strength of concrete by up to 400% while adding a level of sheen that can make your concrete floor not only highly functional but also looking great. We have partnered with industry leaders to bring you the highest quality materials and application technology available. 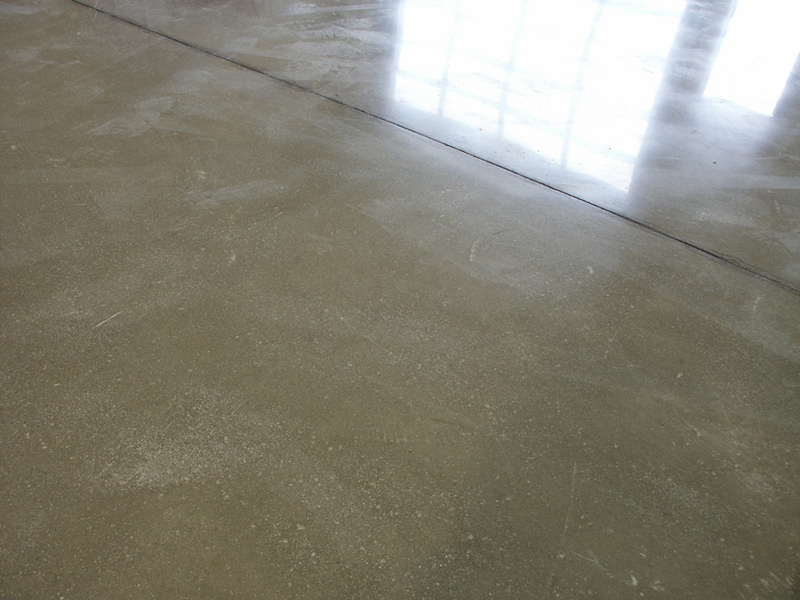 The uses of polished concrete are limited only by the imagination. Some of the most popular applications include processing plants, warehouses, automotive shops, industrial plants, fire stations, shopping malls, showrooms, airports, offices, etc. 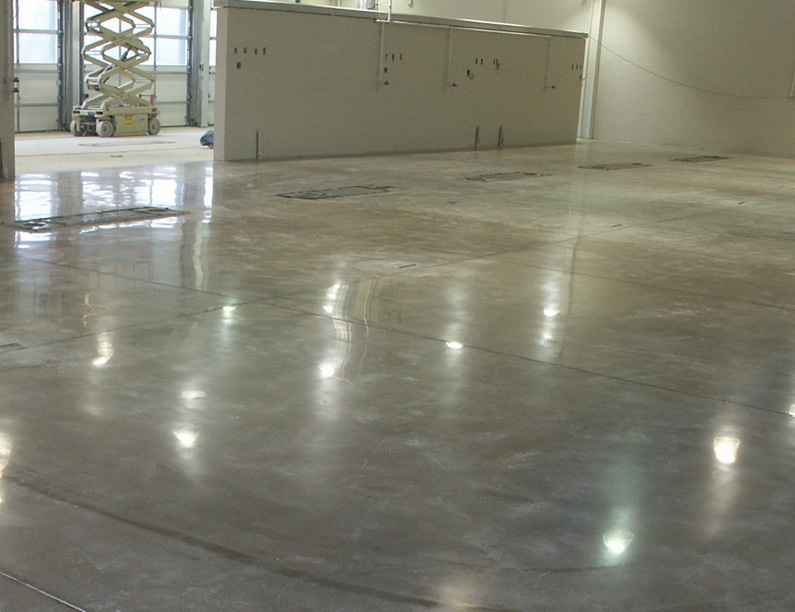 There are many practical uses of the process, but there can be many decorative uses as well when you combine polished concrete with the Solomon Color-Flo liquid dispensing system. 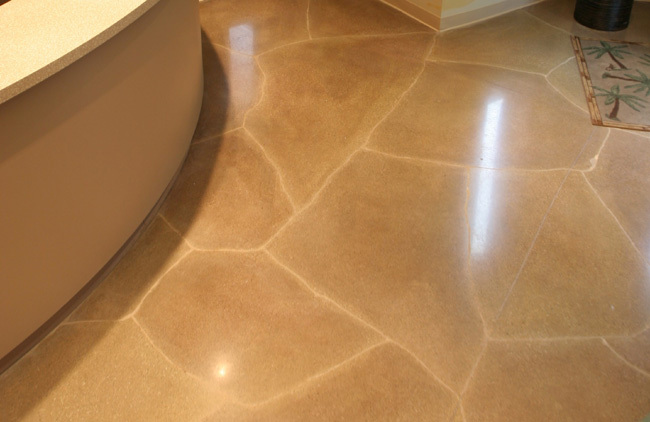 You can create a floor that has the appearance of marble with the maintenance of concrete. 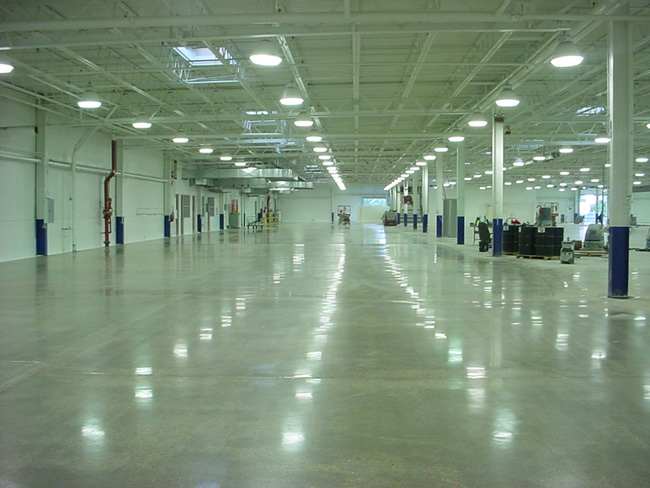 The level of diamond polishing performed on the floor determines the level of sheen.